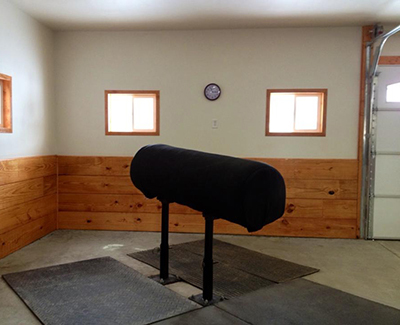 Our breeding building is heated and insulated. 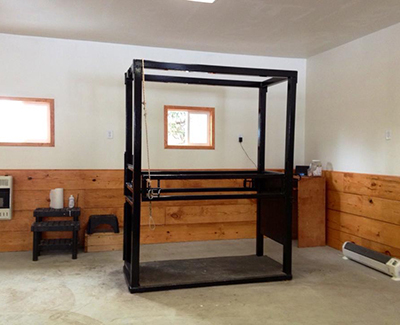 It houses 2 fully adjustable stallion phantom mounts (2 different sizes) and a mare chute. 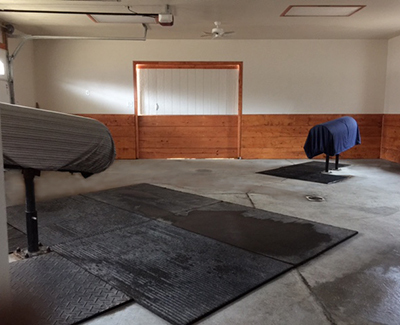 The cement floor is matted around both phantoms for the safety of the stallions. The entire building can be completely sterilized.